The media has spent the past few days trying to destroy Donald Trump Jr. after his “meeting” with a Russian Lawyer was revealed. CNN and The New York Times said this could be proof of “Collusion” because he was trying to get “dirt” on Hillary Clinton. But earlier today, Don Jr. released the FULL email exchange he had with the Russian Lawyer & now the mainstream media is melting down. The emails prove that he did NOTHING wrong. 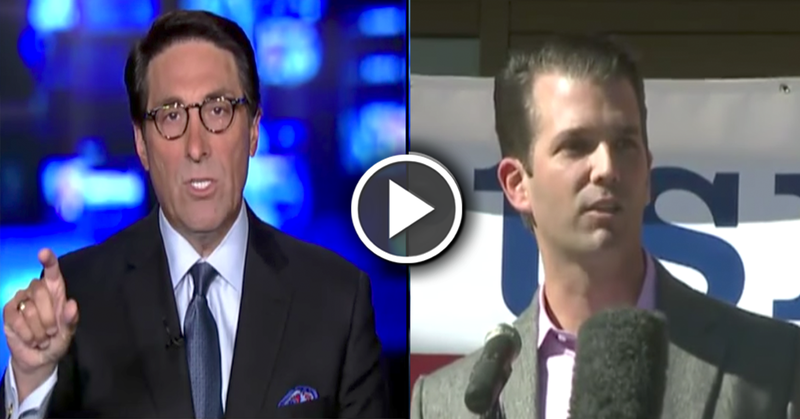 Also, President Trump’s Lawyer weighed in and exposed the media’s worst nightmare. Here is Trump’s lawyer’s response. WATCH then SHARE on Facebook so we can make it go viral!